This all started with one officer on the midnight shift. It was a time where he says there was a perception of law enforcement floating around in people’s minds. Partolman Tom “Tommy” Rozumalski, who has three children of his own, says he used to see students walking to school each morning. So, he went to his Chief, David Ortolano, with an idea. 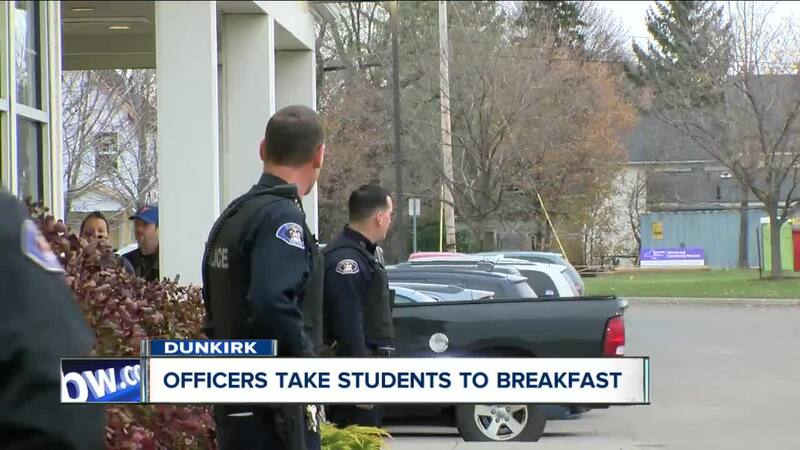 “‘Breakfast with a police officer’, but the guys around the station always call it ‘Timbits with Tommy’”, said Ortolano. 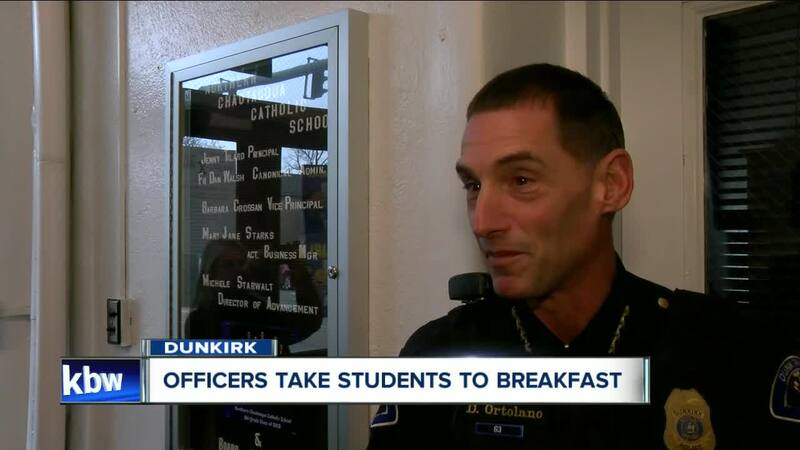 It started a few weeks later…officers, lieutenants, and detectives - many on their off-days - spent the morning picking up a child at one of Dunkirk’s 6 public and private schools for a morning spent at Tim Hortons. Ortolano says that the program has done exceedingly well since starting this past spring semester. Gina Kron, the owner of the Dunkirk Tim Hortons, said that when she was approached with the idea she couldn’t wait to take part. Students are nominated by their teachers then selected and picked up in a patrol car and head off with lights and sirens to their table service at Tim Hortons. “I don’t want them to know that it’s difficult, I don’t want them to know all the bad things we do,” said Rozumalski.